Drug addiction, depression, alcoholism, compulsive gambling: Each of these illnesses, among others, has gotten frequent treatment on screens big and small. Eating disorders — with the notable exception of 1981’s “The Best Little Girl in the World,” starring a young Jennifer Jason Leigh — have remained largely untapped. 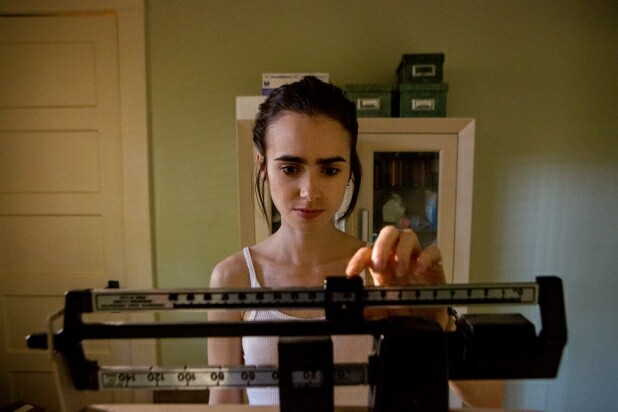 But now writer-director Marti Noxon’s “To the Bone” is bringing anorexia to the forefront, focusing on a 20-year-old woman who can’t make herself eat despite multiple hospital stays and urgent warnings from medical professionals and family. Noxon, a TV veteran making her directorial debut here, had suffered from an eating disorder herself, as did the film’s star, Lily Collins. It’s surprising, then, that the script offers only generalities instead of any real insight. Collins’ Ellen, an artist, is given several opportunities to talk about what drives her compulsion; it seems as if her explanation is begging to be spoken, but sarcasm comes out in its place. It’s certainly realistic that the young woman may not be sufficiently self-aware to know why she puts great effort into remaining a virtual skeleton. But there are other sufferers in the story, and all are painted even more generically. At the beginning of the film, Ellen has been discharged from an inpatient program and sent to live with her father (spoken of but unseen throughout), dopey stepmother Susan (Carrie Preston, “True Blood”), and stepsister Kelly (Liana Liberato, “If I Stay”). Ellen is given full plates of food — whose calories she can accurately break down (“calorie Asperger’s”) — and weighed each day as required by her treatment. Susan, who has no idea how to talk to or help Ellen, notes that Ellen’s counselor said she was “defiant and a bad influence on other girls” and would be happy to send Ellen to Phoenix to live with her birth mother (Lili Taylor). But when Susan and Ellen’s father call her mother, she tells them that she can’t deal with her daughter right now. “I’m sorry that I’m not a person anymore,” Ellen says during an awful family meeting at her new rehab facility. “I’m a problem.” So, really, there’s not much incentive for Ellen to get better besides shocked comments on her appearance. Instead of having genuine conversations with others, she rolls her eyes and is sarcastic. She always has answers to concerned people’s questions; they’re just not helpful ones. Ellen even brushes off the young, straight-talking doctor (Keanu Reeves) who admits her to his exclusive program. This program is where we meet the other ED sufferers, none of whose issues we learn. There’s a love interest for Ellen, albeit an irritating one who hardly seems her type. And there’s zero evidence of the doctor’s alleged “radical” treatment plan: The patients have group, gather for meals, sometimes talk to the doc. Nothing radical about that. Unless you count a trip to an art installation of a rain room, which cues a faux-poignant moment — complete with dramatic song — as each patient steps in to get…baptized? Renewed? How about just wet? Collins is suitably sober and mouthy as Ellen, whose online drawings had inspired devastating actions for a follower, and it’s difficult to watch her only chew food and spit it out. It’s unclear whether the actress actually lost weight or if that prominent ribcage is a result of special effects. We never see Ellen’s numbers when she steps on a scale, perhaps to avoid mimicry. More damning, however, is that with her clothes on, the made-up Collins often looks too glamorous to be a cause of concern. Noxon presents more punch near the film’s end. Ellen and her mother engage in a lovely and touching act, the likes of which you’ve surely never seen before. That’s followed soon after by a disturbing scene (likely borrowed from “American Horror Story”) that so shakes Ellen, she later gives Susan a clingy hug. It may be just the impetus for her to want to get better. But the turning point would have felt more remarkable had we known what contributed to Ellen’s illness in the first place. 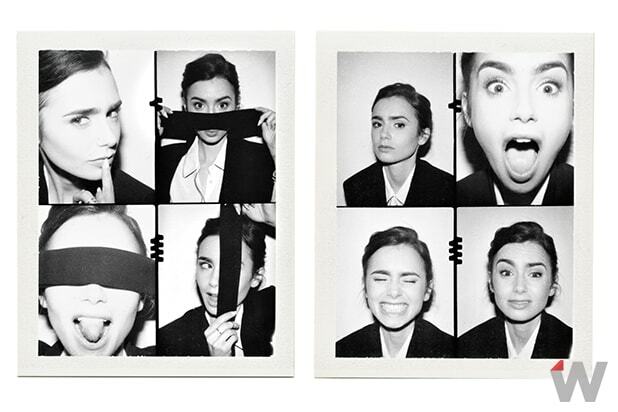 Actress Lily Collins, "Rules Don't Apply"